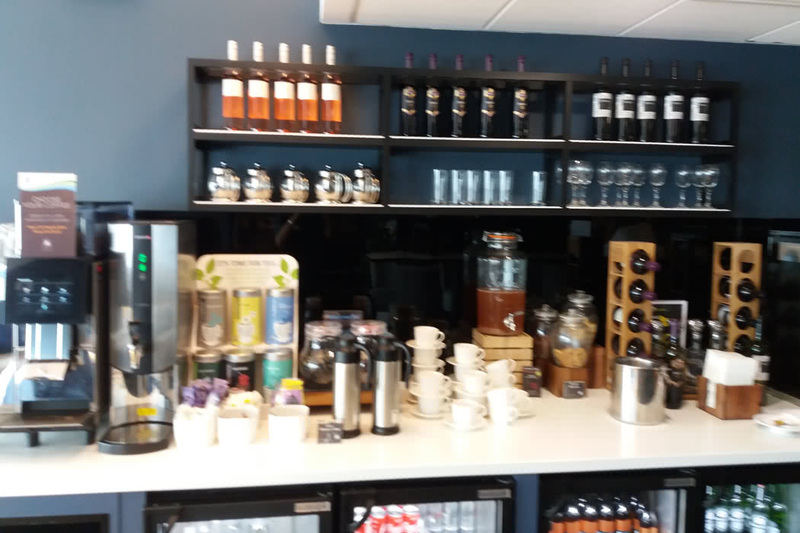 The Priority Lounge at Southampton Airport was recently refurbishment (in June 2018). Previously this lounge was rather drab with a canteen-like feel, but I am pleased to report that the new lounge is much better. The Priority Lounge can be accessed using a number of different lounge passes. You can get in free using a Lounge Club pass. You can also access this lounge using a Priority Pass. You can buy a Priority Pass membership. Dragonpass and Lounge Key are also accepted. You can also book directly online via Lounge Pass which is cheaper than the walk-up rate. Priority Lounge At Southampton Airport can be found on the first floor via stairs or a lift, past the Olive Tree restaurant and along a corridor. The lounge remains compact and spread across two rooms. Because if it’s size, the lounge can get quite busy if there are a number of flights leaving at similar times. The decor is nice over the two rooms that make up the lounge. One has an old-fashioned fireplace with mock fire and mantelpiece with 2 vases of flowers along with a clock and two lamps. The look is quite classy for a regional airport. The modern chairs are new and immaculate if a little overenthusiastic on solid cushions. The carpet is charcoal and gold carpet and the walls, pale grey. Tomato and basil soup, nice white rolls. Spitfire burger with Brioche bap, mature cheddar and smoky streaky bacon (tasty). Sweet potato, spinach and chickpea curry and rice. Assorted salad, cheeseboard nice generous chunks of Brie and assorted crackers and chutney. Sausage, bacon, rosti, baked beans and mini omelette. Seasonal fresh fruit and yoghurt. Porridge with honey, nuts, dried fruit, etc. For drinks, there are help yourself spirits, whisky, gin etc. You can also find plenty of red and white wine, cider, beer. Soft drinks include diet versions and a rhubarb and zinc vitamin drink. 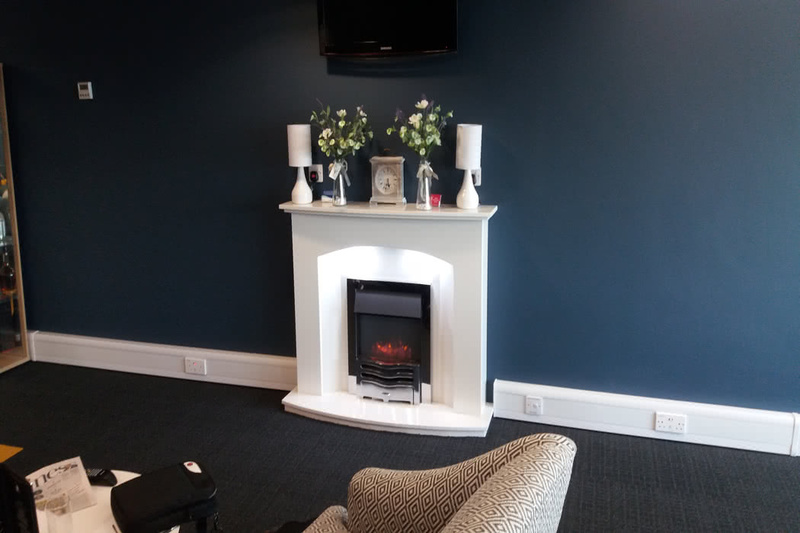 When we reviewed the lounge, we felt it was very relaxing and pleasant and worth stopping by.